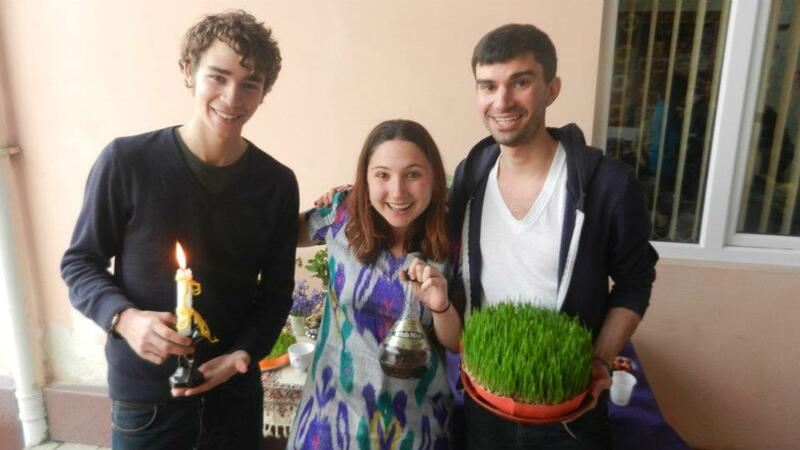 This week was Nowruz. Really quick, for those who don’t know- Nowruz is the Persian New Year. It marks the beginning of spring and the first day of the Iranian Calender. Its a lot of fun, and if you’ve never celebrated it, I recommend a trip to the former Persian Empire(s) next March 21st. Or just any major city where there are diaspora communities. That works too. 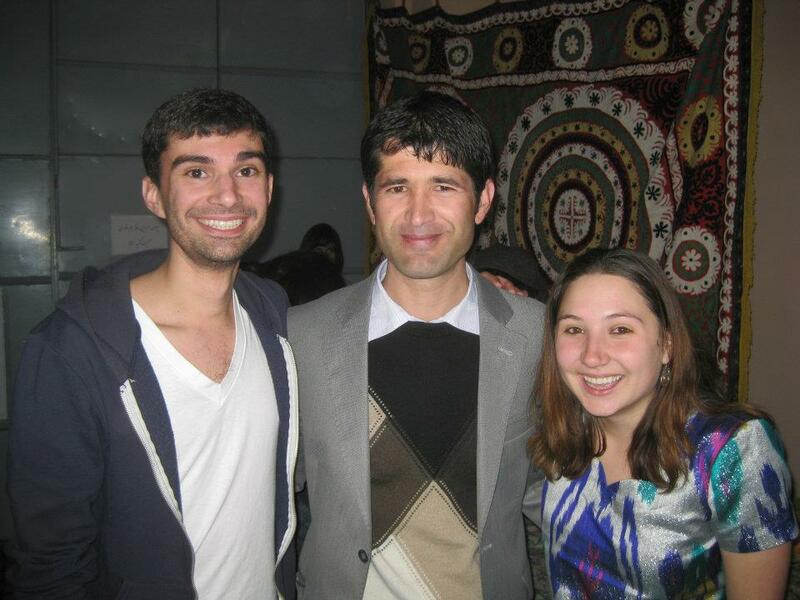 Obligatory picture of Chris, Joey and me, the three undergraduates studying abroad in Tajikistan right now. Nowruz week started out with a snow storm on Monday. A really giant snow storm. And then there was no electricity. And classes got cancelled because the heavy snow was knocking over trees, which were in turn crushing cars and things. It kinda stunk. But, not to worry!! That was on Monday and Tuesday. The last days of the old year. The new year is bright and sunny. Its year 1391 by the way. Year 1391 has been pretty beautiful so far. And exciting too! 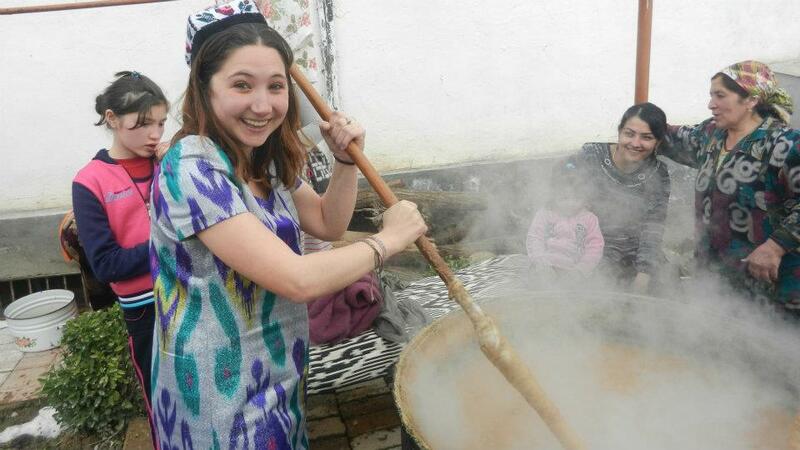 On Thursday we had a Nowruz party. I mentioned last week that my professors were over-enthusastic about this party, and so I ended up performing. A lot. 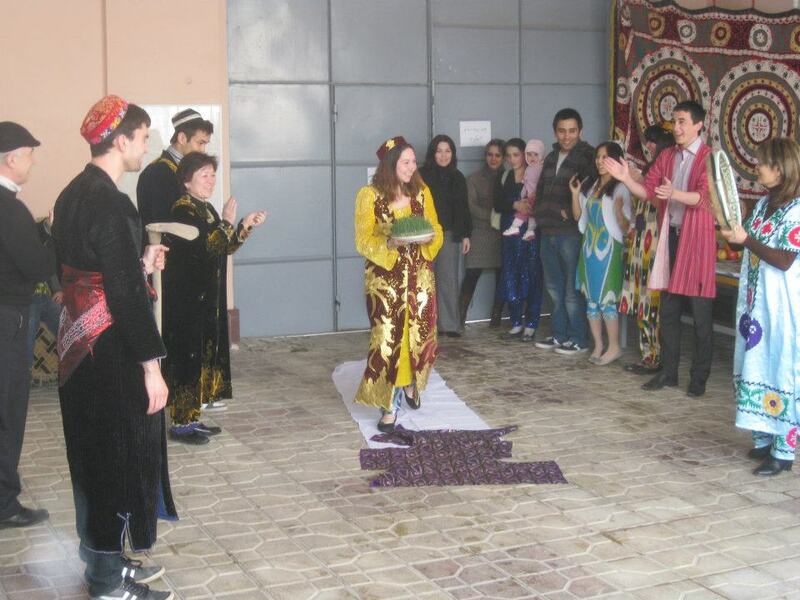 I was the “Malika Nowruz” which means “Nowruz Princess.” We performed a skit in which I had to welcome Nowruz and congratulate everyone on having made it to spring. Also, I had to hold some greens. I wasn’t allowed to wear my own Kurta. I had to wear a bright yellow Kurta that sort of made me resemble a duck. Me, as the "Malika Nowruz" arriving at the party with some greens. Now, maybe you think “Amanda, that sounds super awkward!” O, just wait! After that, I had to give a speech in Persian describing the “Haft Sin and Haft Shin.” Those are the traditional symbols of spring set out on a table at Nowruz. The Haft Sin is in all Persian speaking countries, the Half Shin is mostly in Tajikistan. I could tell you more, but I’m sick of talking about them. A little later, Joey and I greatly embarrassed ourselves by singing a Dari song about Spring. We didn’t actually know the words very well, and mostly just stood there, swaying a little bit. I’m sure it was great fun to watch. The rest of the party, when I wasn’t performing, was pretty chill. It was catered by an Iranian restaurant, and so we had “Sabzi Polo ba Mahi,” which is rice and greens with grilled fish. Deliciousness. Some neighborhood women gathered in the courtyard to make Sumanak (Sumalak in Tajiki), which is a traditional New Year’s wheat paste. I stirred the Sumanak/Sumalak for a few minutes. It takes a full day to make. So I didn't stir the whole time. Other excitement included a tug-of-war and some arm wrestling contests. The party was hosted together with Tajik students who had returned from study abroad in the U.S. in the past couple of years. 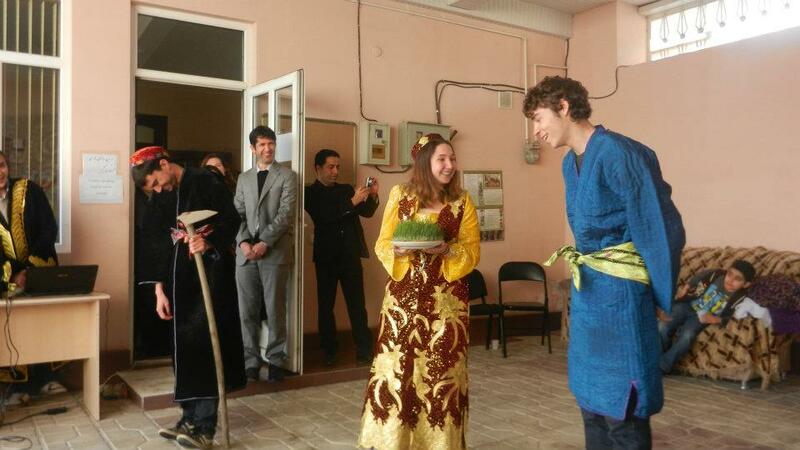 Most of our professors attended, as did a number of foreigners from the Dushanbe community. Joey and me with our Dari professor. By 7:30 or so, most of the professors and foreigners left, and it was just us Persian language students and the returned Tajik study abroad students. The music changed pretty abruptly from traditional Central Asian fare to Kanye West and Jay-Z and Co. I’m pretty sure I saw someone Dougie. After such a traditional celebration, it was little strange to slip into U.S. pop culture. Especially because behind us, the neighborhood women were continuing the stir the sumanak, and small Tajik children were stranding on the roof, staring at us. Still, I suppose it was a nice reminder of home. 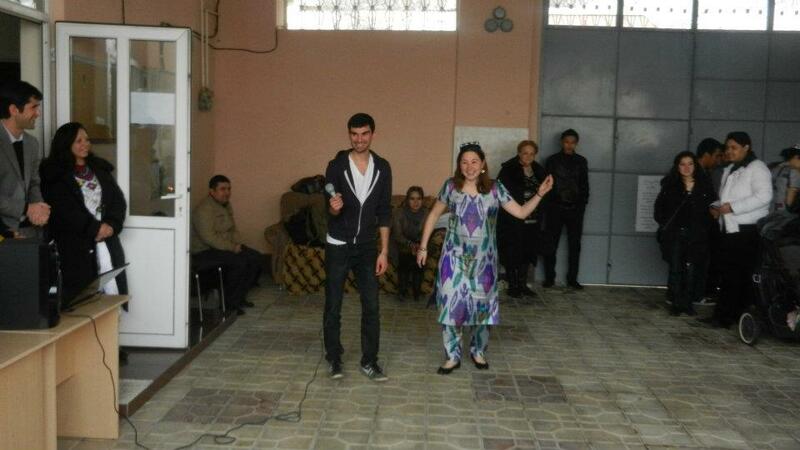 Also, an unfortunate reminder of the fact that, no matter what culture I’m in, I still can’t dance. The other exciting bit of news is that Karzai, Ahmadinejad and Zardari are all in town to celebrate Nowruz. My host baby thinks Zardari looks like Baba (Grandfather) and I think I caught Rahmon (Tajikistan’s president) falling asleep during Karzai’s speech on TV. Also, the influx of foreign dignitaries means the main street has been reserved for their cars all week, and I kept getting frisked by the police as I tried to walk to a cafe on Sunday morning. This entry was posted in Uncategorized and tagged awkward, celebration, Dari, Dougie, Farsi, Hafez, Haft Sin, New Year, Nowruz, party, Persian, Poetry, pop culture, Sumanak, Tajiki, Tajikistan, traditional dances, Travel.